LUCERNE FESTIVAL was never merely a way station on the way to another destination. Ever since the Festival was founded, the great musicians who have performed here – from Edwin Fischer, Wolfgang Schneiderhan, and Rafael Kubelík up to today – have also thought of Lucerne as a refuge, far removed from the distractions of their normal teaching routine, where they are able to pass on their knowledge and mastery to the younger generation. For this reason, the LUCERNE FESTIVAL ACADEMY will once again offer the Composer Seminar during the 2019 Summer Festival. In it, young composers will discuss their works with Wolfgang Rihm and other composers. 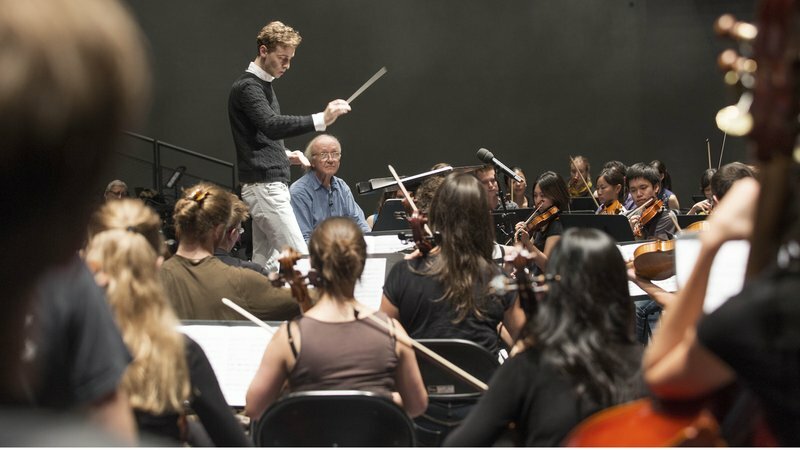 In the summer of 2020, the master class for young conductors will again be offered, focussing in particular on music of the 20th and 21st centuries and regularly enhanced by additional master classes. In collaboration with the Hochschule Luzern – Musik, a master class in piano additionally takes place each fall as part of the Piano Festival. All of the master classes are open to any interested auditors.